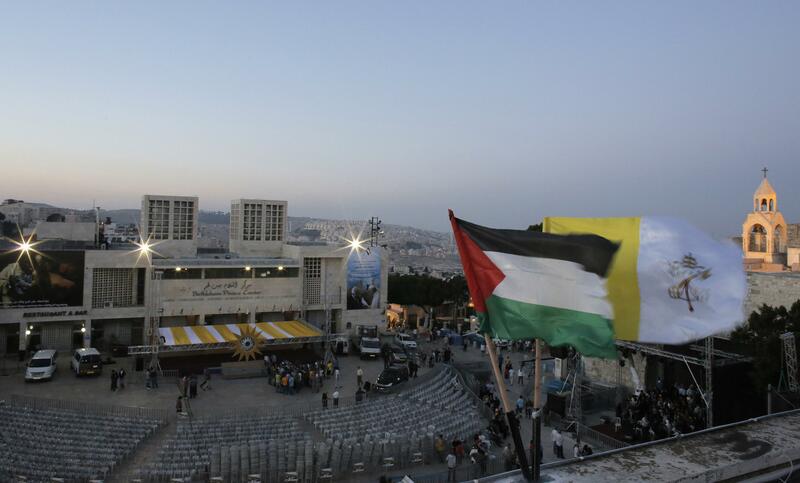 Saturday marked the first day of Pope Francis’ three-day tour of the Holy Land, where he'll visit sites of some of the world's big conflicts and meet with leaders from the Christian, Jewish and Muslim faiths. During his 72-hour trip, the “people’s pope,” as he has been described, will visit Jordan and Israel, and make his way to the West Bank. 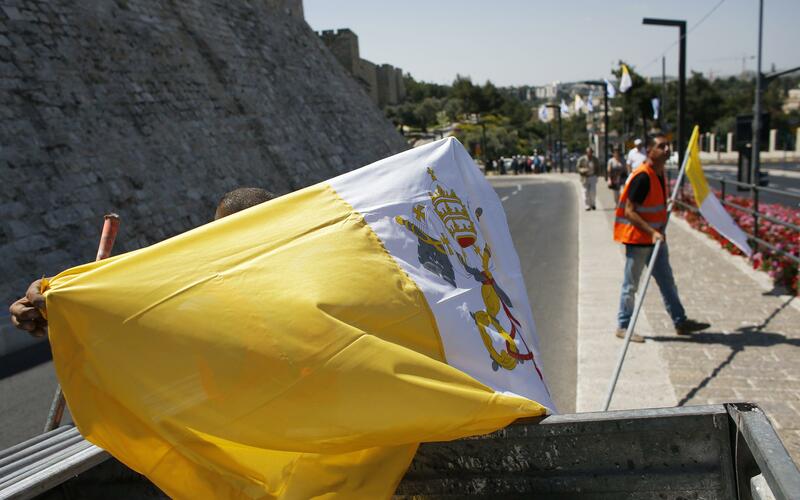 The trip marks the 50th anniversary of the annual papal trip to the Holy Land, started by Pope Paul VI, and many are eager to see if he'll do things differently. For the first time, the pope’s itinerary refers to the Palestinian territories as the “State of Palestine.” And for this trip, the pope asked Rabbi Abraham Skorka and Imam Omar Abbou to join him and even refused a bulletproof car. 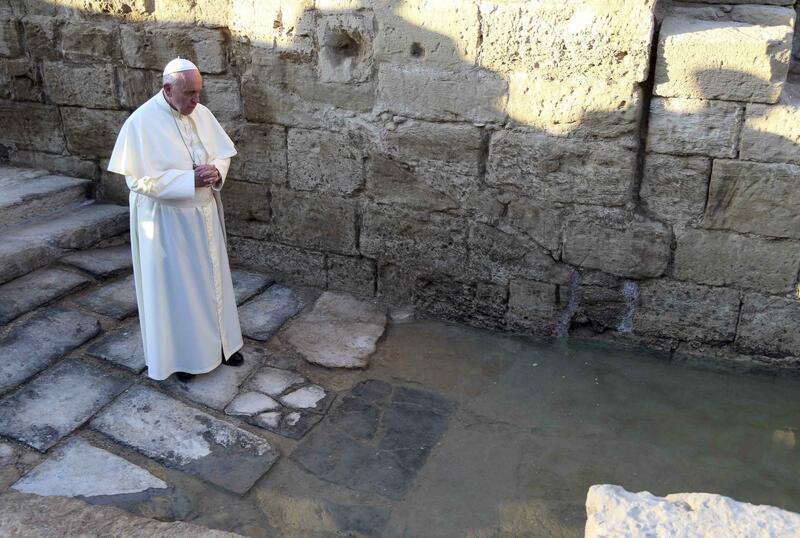 Tourist: Going by the pope’s schedule gives you very limited time in Amman, so while the baptismal site is a place to see on the guidebooks, don’t pass up visiting Jebel al- Qala’a, the citadel on the highest hill in Amman, and the Roman Theatre. Or skip all of this and spend the day swimming in the Dead Sea. Pope: Pope Francis is scheduled to take a Sunday morning helicopter trip to Bethlehem, where he will first meet with Mahmoud Abbas, president of the Palestinian Authority. He's also having lunch with Palestinian families, and later, he's meeting with children from the refugee camps of Deheisheh, Aida and Beit Jibrin. 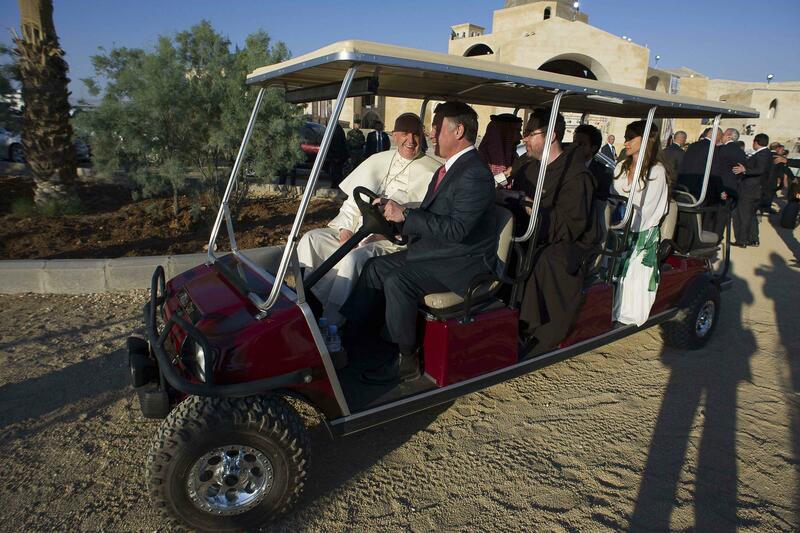 Tourist: The pope’s schedule only gives you about six hours in Bethlehem (but taking a helicopter is cool). Visit Herodion, an ancient palace that offers a history lesson and beautiful views of the Dead Sea. And don’t miss the food markets in the Old City. 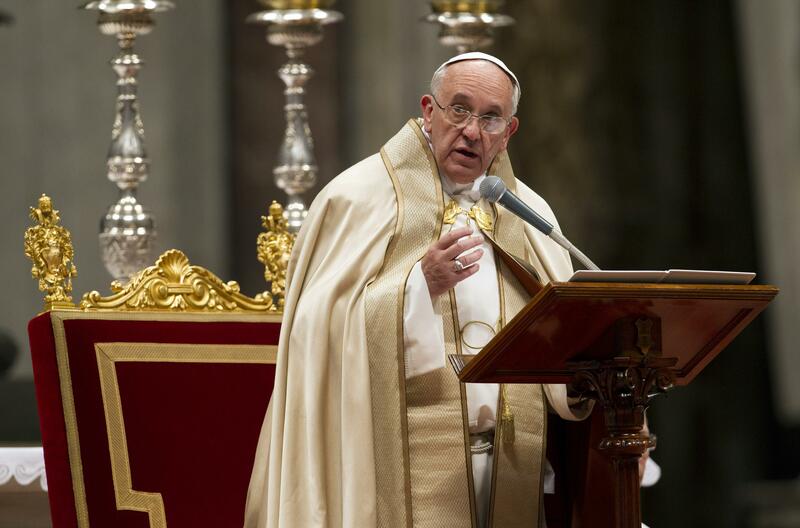 Pope: Another helicopter ride Sunday night will take the pope to Jerusalem, where he’ll be having dinner with patriarchs and bishops as well as visiting the Papal suite at the Latin Patriarchate. On Monday, he's scheduled to visit the Western Wall, lay a wreath at Mount Herzl and meet with two chief rabbis at Heichal Shlomo Center in Jerusalem. He will also have a private meeting with Israeli Prime Minister Benjamin Netanyahu. Tourist: While the Pope is at dinner, definitely take advantage of Jerusalem’s exciting nightlife. Then, on Monday, make sure to visit the Western Wall Tunnels, a system of underground tunnels dating back to the time of the Hasmoneons and the Dome of the Rock (Al-Aqsa Mosque).